UPDATED: Wed., Nov. 22, 2017, 12:59 p.m.
NEW YORK – Insurers for American Airlines, United Airlines and other aviation defendants have agreed to pay $95 million to settle claims that security lapses led planes to be hijacked in the Sept. 11 attacks. The settlement was described in papers filed Tuesday in Manhattan federal court. Developers of the new World Trade Center buildings had once demanded $3.5 billion from aviation-related companies after hijacked planes destroyed three skyscrapers among five demolished buildings on Sept. 11, 2001. Lawyers said the agreement signed last week resulted from “extensive, arms-length negotiations” by lawyers “who worked diligently for months.” The agreement also said the parties make no admissions or concessions with respect to liability for the attacks. “The court’s approval of the settlement agreement will bring to a close this hard-fought 13-year litigation on terms agreeable to the parties,” the lawyers said. Attorney Desmond T. Barry Jr., who submitted the papers to U.S. District Judge Alvin K. Hellerstein, declined to comment Wednesday. 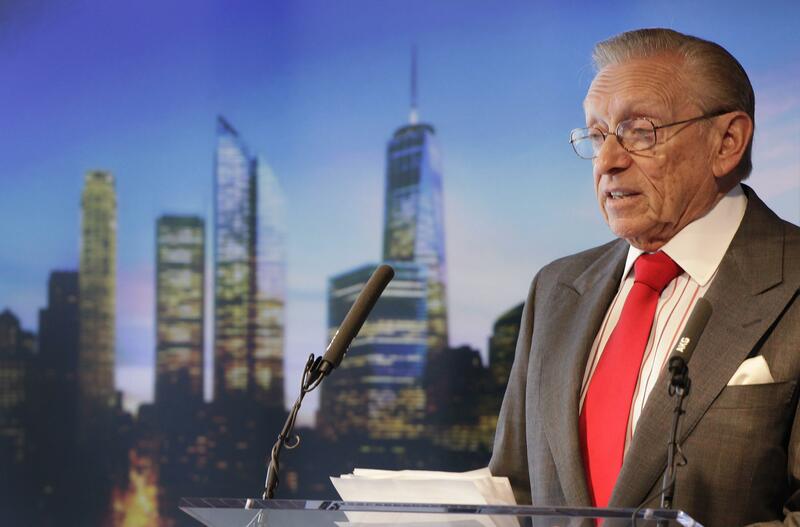 Developer Larry Silverstein and World Trade Center Properties have collected more than $5 billion from other defendants through lawsuits. The money has aided the reconstruction of buildings on the 16-acre lower Manhattan site. Earlier settlements included $135 million paid to a financial services firm that lost two-thirds of its employees. American Airlines spokesman Matt Miller said the company is pleased to have reached a settlement. “We will never forget that terrible day and its lasting impact including the tragic loss of 23 members of the American Airlines family,” Miller said. United Airlines declined to comment. Published: Nov. 22, 2017, 10:22 a.m. Updated: Nov. 22, 2017, 12:59 p.m.